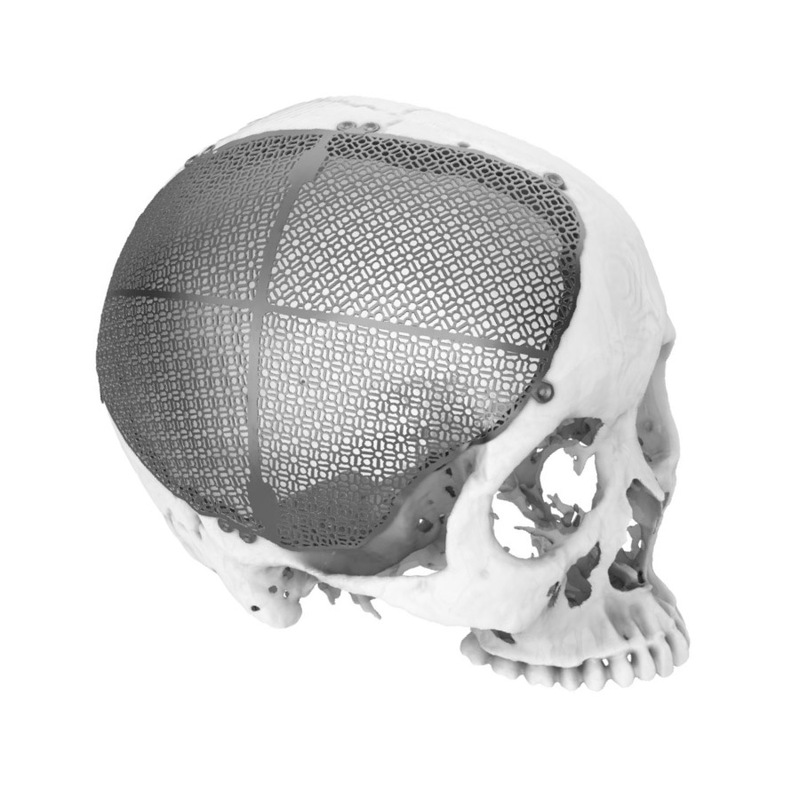 Personalized titanium cranial plate serves to replace defective bone lost of skull from trauma, craniectomy where the native skull needs to be cut-open, congenital condition, or disease. 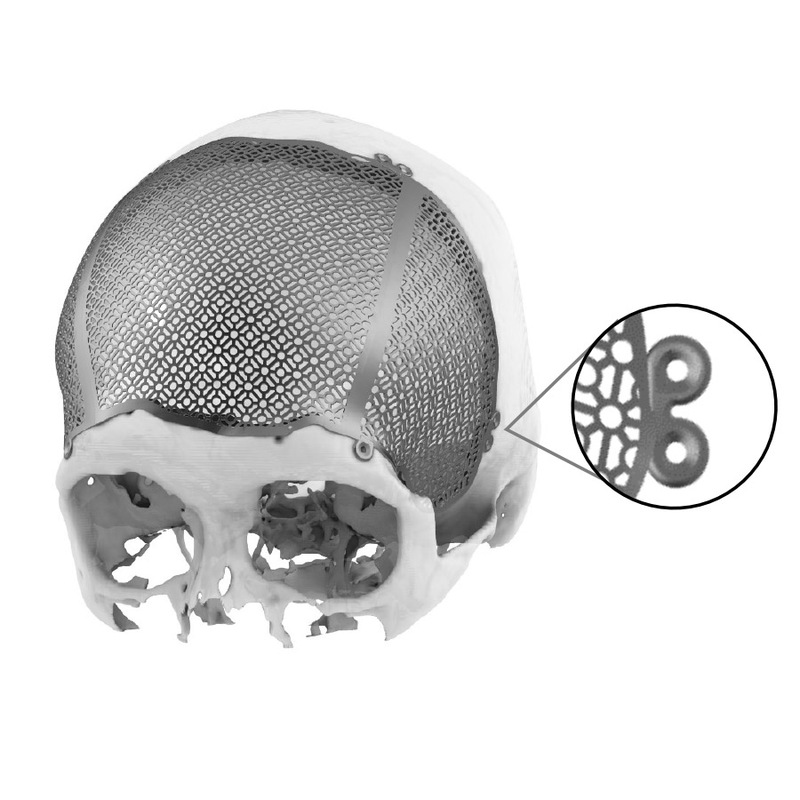 The titanium cranial plate is designed anatomically using CT-scan to precisely fit the defects in cranial and craniofacial skeleton. 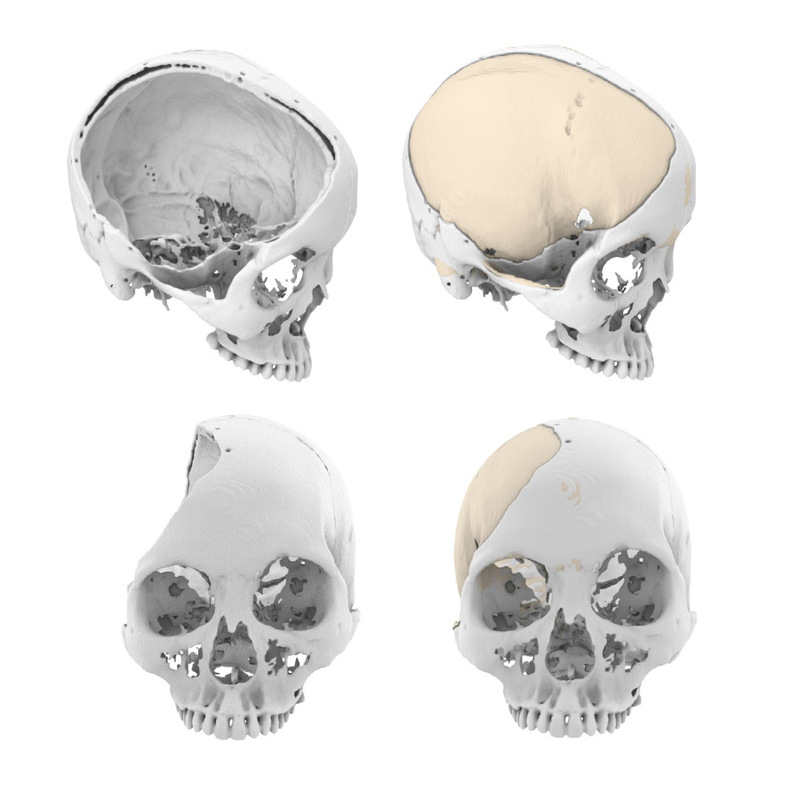 Anatomical contour derived from CT scan data with overlapping margin to maximize contact between implant and patient’s skull. 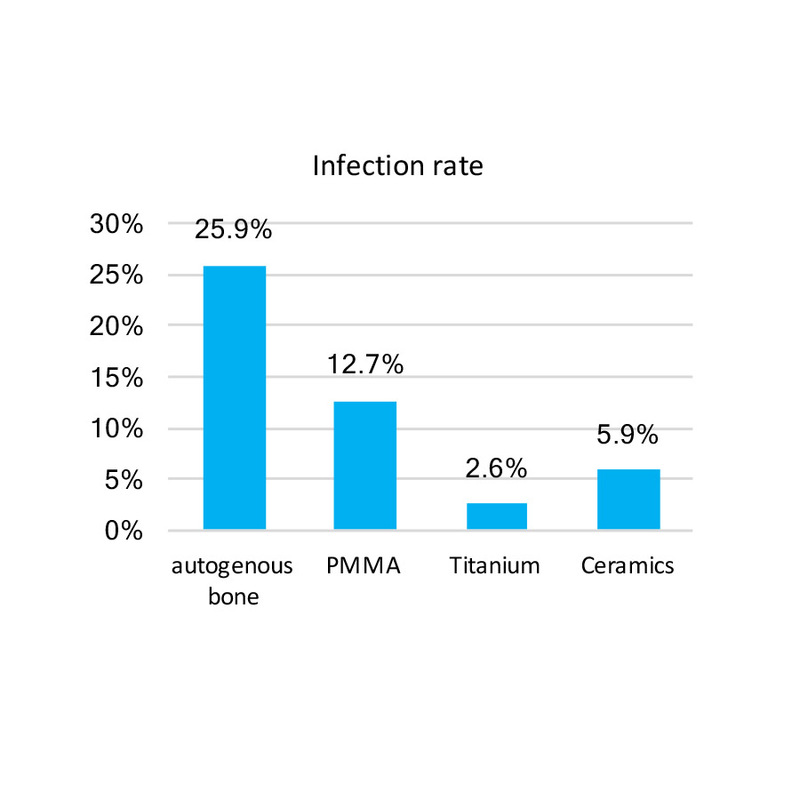 Titanium has the lowest infection rates as compared to autogenous bone, PMMA-based and ceramic implants. Titanium also provides higher strength than conventional PMMA and PEEK prosthesis. 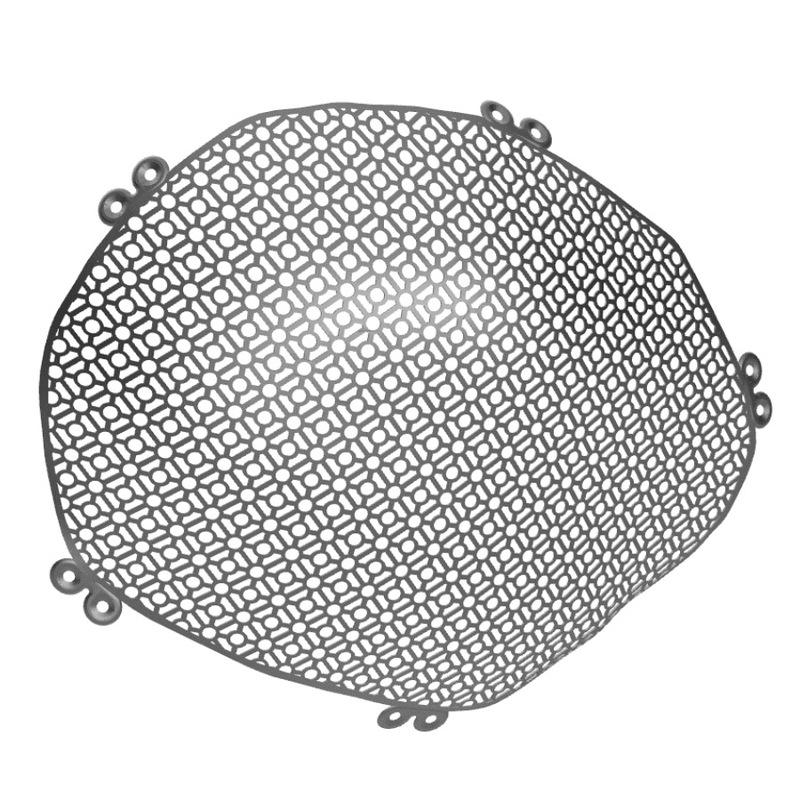 Reference: Matsuno, A., Tanaka, H., Iwamuro, H. et al.